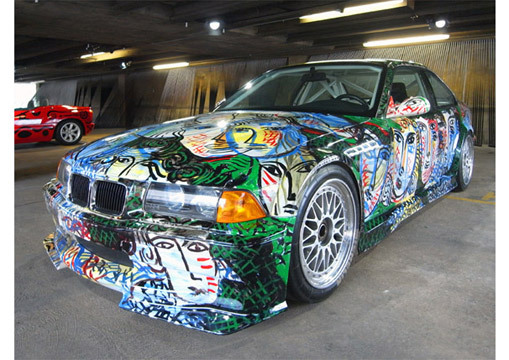 BMW: First the expression of Joy – ART Campaign (Z4), and then: a BMW ART GALLERY@LONDON NCP CAR PARK! 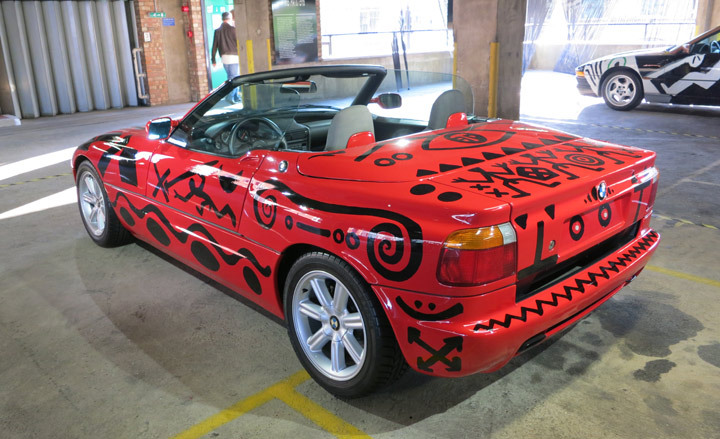 The people at BMW went all out in showing the world exactly how expressive the Z4 is, and by word, it is so exasperatingly, eccentrically, expressive that it produced an artwork which is not only a masterpiece, but also of epic proportion! The New Z4 is BMW’s latest showroom piece and is undoubtedly the undisputed champion – especially the Z4 GT3! Which one is of preference to most is up to the public at large, the Z4 is already proving popular and is gaining further in the ranks of the classic cars of the future! The Z4 and the GT3 version are a duo of incomparable vision compared to their competition! The vehicles competing with the Z4 are: The Infinity G37, The Audi A5, The Mercedes SLK, and The Porsche Boxster, The Audi TT, and The Nissan 370Z! As you can see there are many competitors to the Z4! And continuously seen of the competition throughout the years! 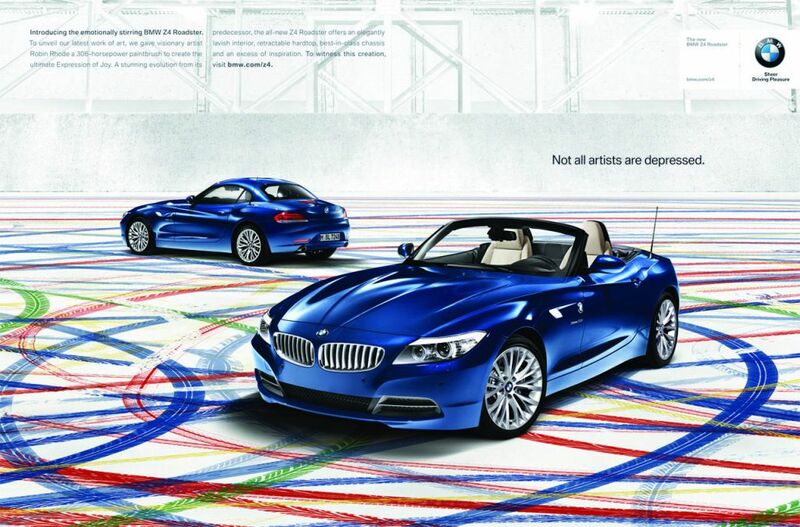 The Z4 brand is still going strong with the latest model on the market being the BMW Z4 sDrive28i (2012 onwards)! Re-shaped, Re-styled, and Ready for everything! The Z4 starts from £29,485 and if you want the M version, the price starts at £32,650, all models are only available in petrol, and the CO2 emissions (g/km) is 159. The Z4 is said to be in a class of its own and all that is required! However the Z4 M version is the icing on the cake and will look slightly better with the sports customizations! The Z4 and the GT3 Z4 are double trouble! Both are fun and funky! Some of the features of the BMW Z4 are the mean looking contours for the roadster which emerge from the BMW emblem, which makes this roadster look smoking and full of swag! The Z4 is made easily recognisable by these contours and there’s no mistaking the GT3 Z4 as that has a huge winged spoiler at the rear of the car. Double trouble indeed! The combo models will make you say WOW! BMW uses keyless technology to start the engine at the push of a button (the start/stop button), and the remote key sends a signal to the car to unlock it or lock it, at which point the door handles illuminate to provide further assisted entry to the car! The Z4 is available in Manual (6-speed transmission) or Automatic which has an 8 speed transmission making the Z4 a real roadster! There’s also a turbo-charger which eases the roadster to a speed of 156mph (the roadster has been limited to this speed). The Z4 is a rear-wheel drive (17″, 18″, 19″ alloys), has ABS as standard, a CD player and Radio, cruise control as standard, air conditioning as standard, good safety with airbags for the driver, passenger, and front side airbag, electric windows, and is a two-seater roadster with four cylinders which performs well and reconvenes a time of 5.6 seconds to 60mph! Additional safety features include rollover bars fixed behind the headrests and stable “A” pillars along with the feature of the bonnet automatically rising in a collision. The head and upper body airbags protect the head, ribcage and pelvis areas acting as cushions in a collision. A little car the Z4 may be but the German roadster’s 2012 update is getting bigger in name, even the lights (xenon and round) on the car are smaller than the grilles and this gives the Z4 a wicked look and only adds to the cars flair! The car has daytime running lights. The front of the Z4 looks hungry for the road and there are further additions beside the grilles which are air intakes on either side and lowest to the ground beneath the kidney grilles is a fierce looking meshed carbon front splitter! Quick enough for BMW who used to produce engines with their trademark 6 cylinders; yet in their efforts to be greener have chosen to use a four-cylinder blueprint for the Z4 which performs well although there is less power being produced whereas torque is increased. 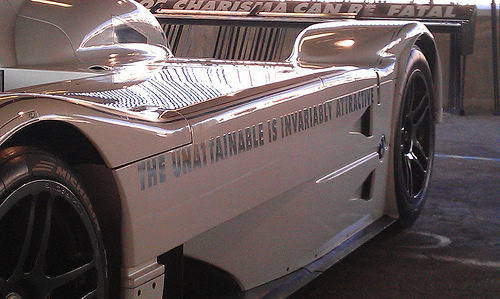 The car is available in Single or Twin exhaust tailpipes! And has cruise control, and a high-beam assistant. The Z4 is a rear wheel drive and can be operated manually (via gear paddles) or automatically. BMW have made this roadster with the vision of it being an everyday car for use 365 days of the year! They say that the temperature within the car will be suitable for whatever weather conditions the car is in, and there are options of four round air conditioning controls or automatic air conditioning. There is also the iDrive onboard control system which controls the different functions such as accessing, Telephone, Sat-Nav, Settings, Drive-mode and Radio/CD. It is a star on the race track and has many accolades to its name: the BMW GT3 Z4! The car shines spectacularly in every way and looks like it could easily produce flames firing out of the GT3’s exhausts! A personal favourite of mine! Its place is however, I would say on the race track! It has been taken up by private racing teams! 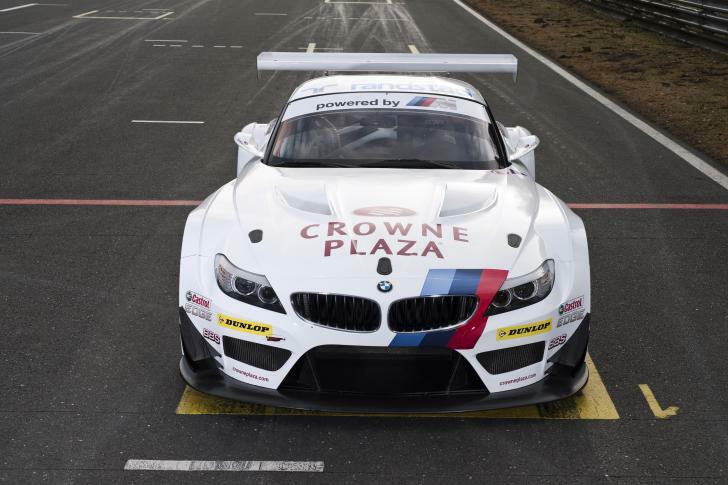 The GT3 Z4 has done well in competitive racing and has made an impression! The racing car proving it had the mettle to produce a 1st place finish at the Dubai 24 Hour endurance event, and also securing second place from a low 49th position at the 24 Hour Spa Francorchamps event! As you can imagine it is a much grander scale than the standard Z4! 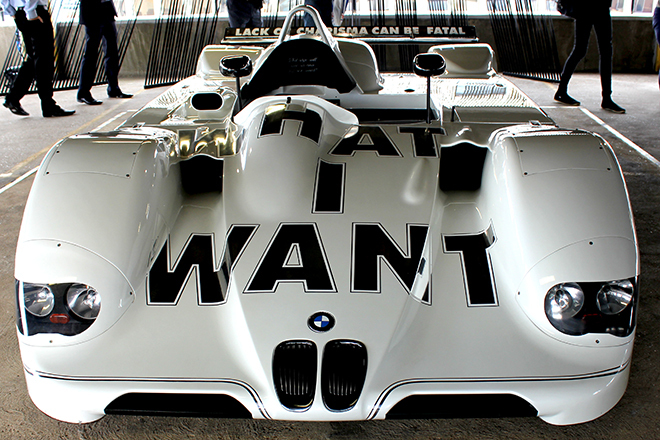 Whereas the Z4 says Zoom! The GT3 Z4 says ZOOM ZOOM ZOOM!!!!!!!!!! It’s further enhanced in engineering, styling, and capability! It has a six-speed sequential transmission with a “Quick Shift” function, and an engine management system and the engine consists of a 4.0-liter V8! Being a race car there is also a racing anti-lock braking system present, a roll cage, and rims with central locking and safety clips. It is available as a road car! So prepare for take off! It has been priced at €340,000. For those of you, whom have not had the opportunity to be acquainted with the Z4 and its mastery of art, please read on as I elaborate further. “The BMW Z4 is a modern interpretation of a classic roadster and the most admired characteristics of a sports coupe`” In celebration of the BMW Z4 being an ‘expression of joy!’ BMW hooked up with the artist Robin Rhode who is a South African artist based in Berlin and gave him the privilege of creating an art piece to be the front of the BMW Z4’s campaign! 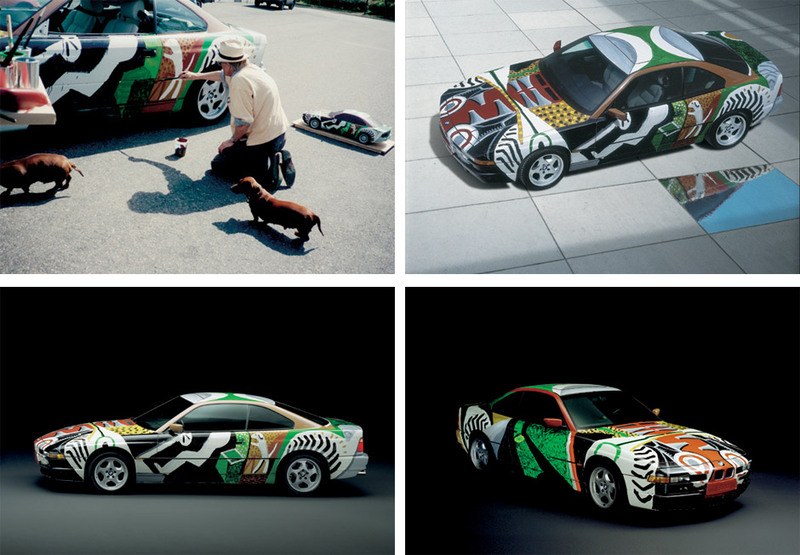 This art-piece you see above is the creation of his vision which was then painted by the Z4 roadster! With the use of many colours and tyres! 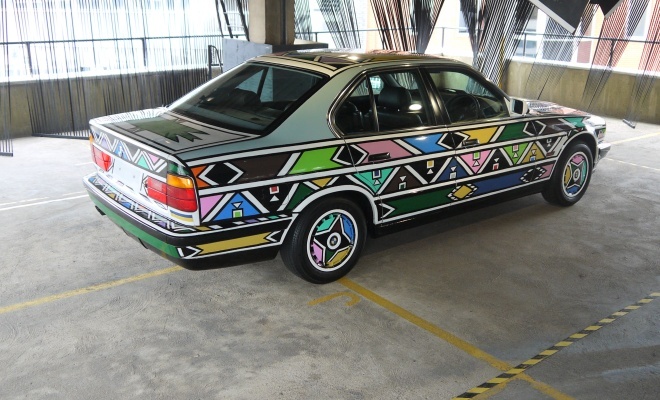 (Each colour was painted by a different set of tyres). Mr Rhodes did not drive the car, however operated it via remote control! Making this art-piece, even further wonderful! For those of you wanting to find out more there is a video of the artwork taking place and it is directed by Jake Scott. 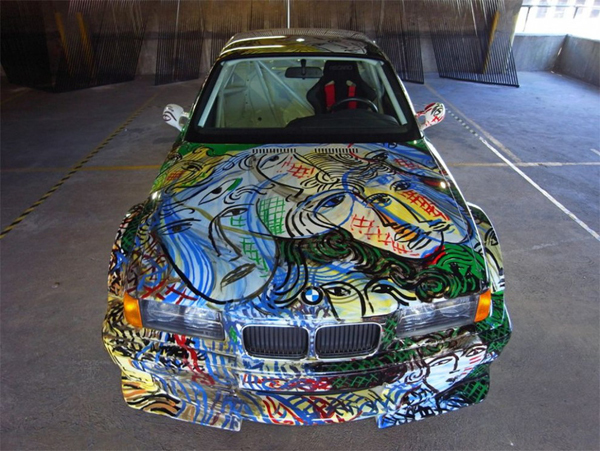 The link shows you the different processes from the artwork taking place on a piece of paper by Mr Rhodes to the Z4 being a tool of art on a huge canvas! It also shows the preparation that went into the larger than life artwork! 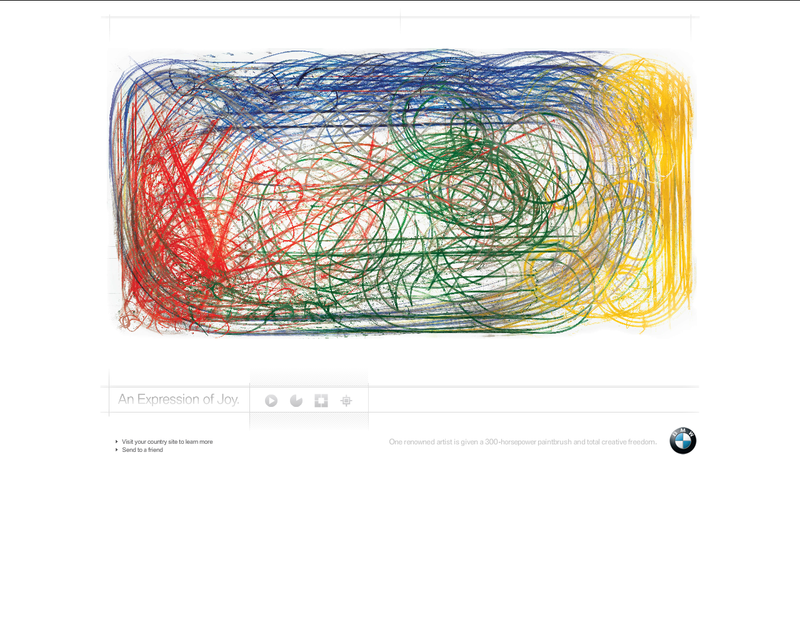 BMW have really gone all out with this campaign they even have an Iphone Game for this art based campaign! 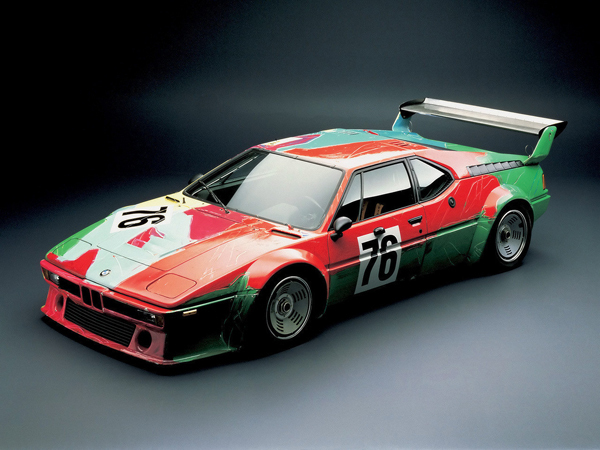 Not enough can be said of this art-piece, it is a fusion of car and colours! (I’ve got my own take on it which is why this article is no ordinary article it too is a fusion! 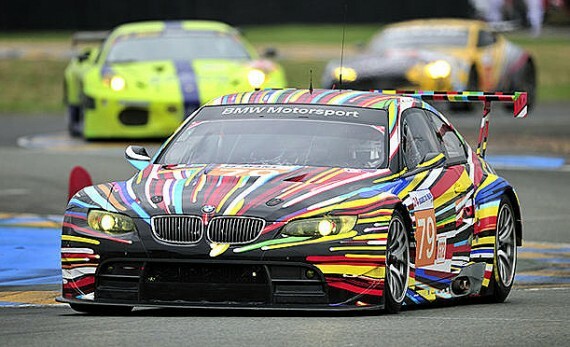 A fusion of writing, colour and of course the Z4 and Z4 GT3! 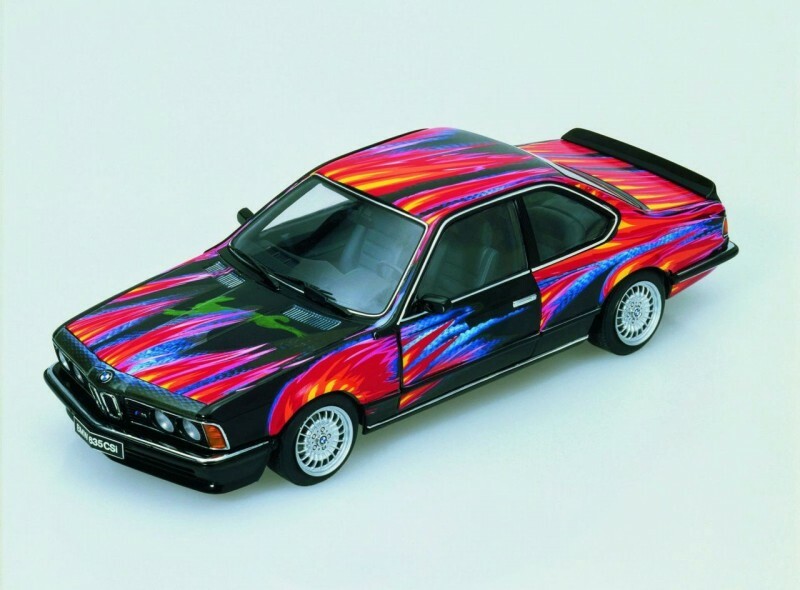 To find out more about BMW’s and their relationships with other artists! 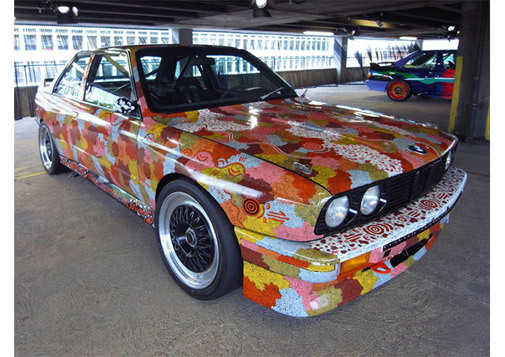 This SECTION is on The BMW ART GALLERY THAT WAS IN LONDON! 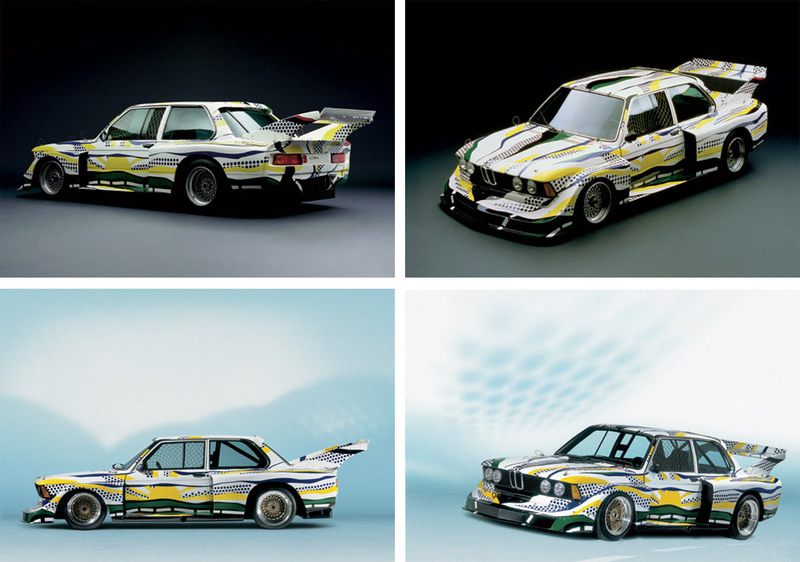 BMW’s as you’ve never seen them before! And they have arrived in an array of flair and style, which none of them are lacking in! 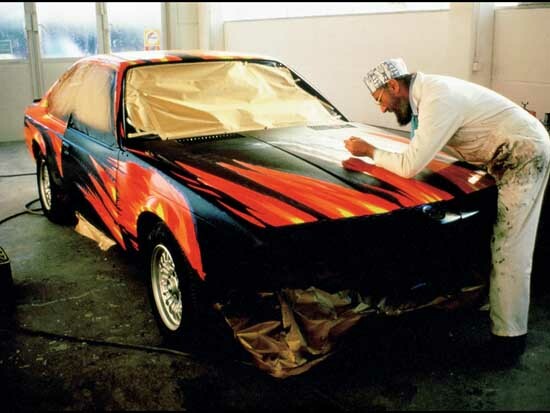 The Art Gallery lasted only two weeks and began in July and finished in August, it certainly made the rounds with Art Critics and Enthusiasts of Art and Cars! The Gallery was put on by the ICA (Institute of Contemporary Arts) at the NCP Car Park in East End of London and the admission was free. Do not despair if you did not go to see it, as you can see the photos of the Art Cars within this post! This Art Gallery was a first for the UK! 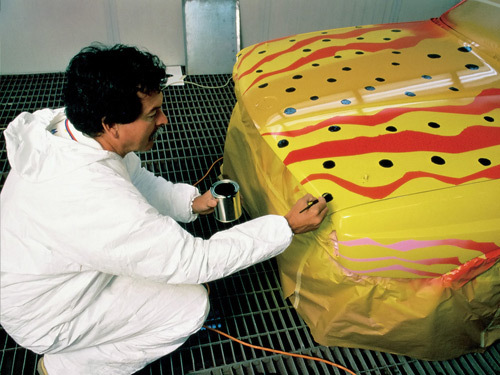 And the Art collection had begun over 35 years ago and using the cars as their canvasses leading international artists have been making their mark on what are classic art-pieces of the highest standards! 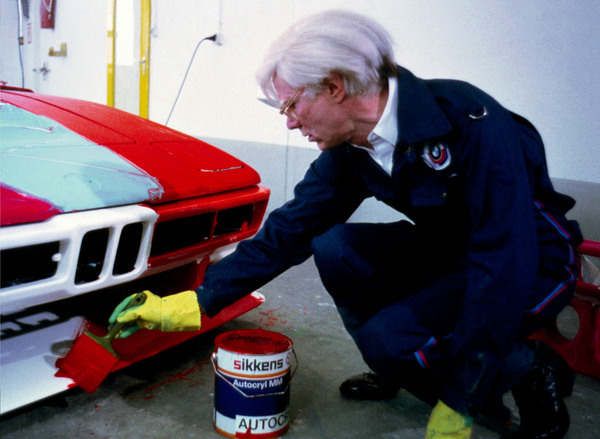 Artists include Andy Warhol! 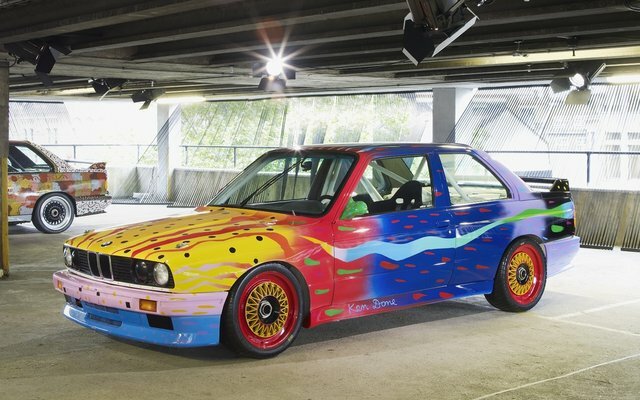 The London Olympics 2012, ICA and BMW all collaborated to put this exhibition on as part of the London 2012 Festival! And it was called the Art Drive! 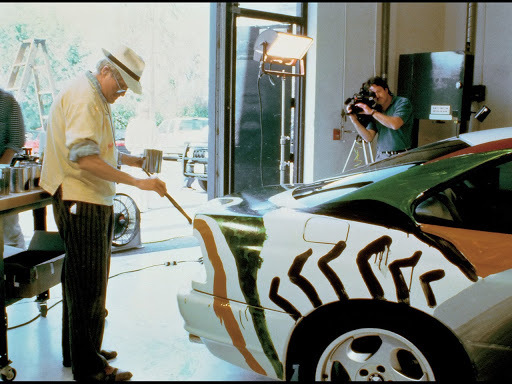 Artists included: artists: Alexander Calder, Sandro Chia, Ken Done, Ernst Fuchs, David Hockney, Jenny Holzer, Matazo Kayama, Jeff Koons, Roy Lichtenstein, Esher Mahlangu, Cesar Manrique, M.J Nelson, A.R Penck, Robert Rauschenberg, Frank Stella, and Andy Warhol as mentioned before. 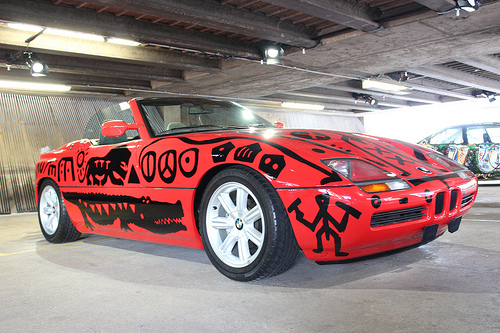 So here are the cars and the Artists’ work! Videos included! Enjoy! 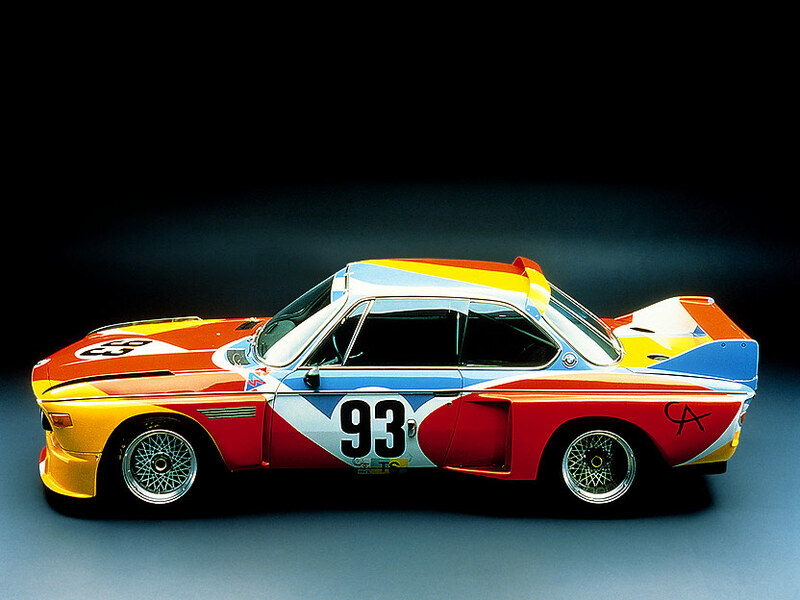 A 1975 BMW 3.0CSL by Alexander Calder was the start of the BMW art car project and this was the first commissioned Art Car by BMW! 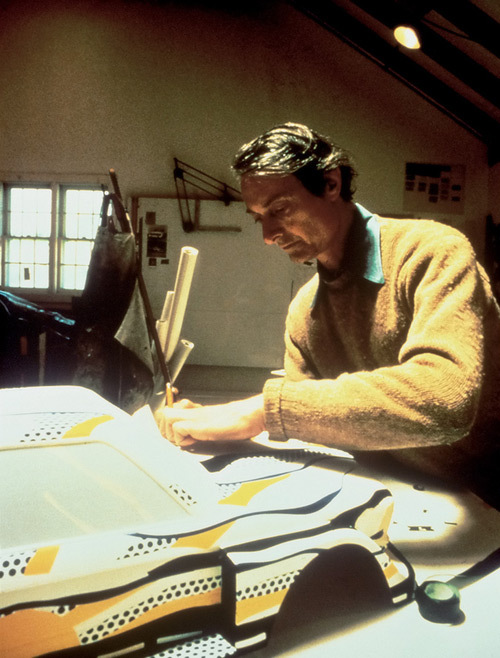 Mr Calder was convinced by his French racing driver friend to take this project up, and it was used in the Le Mans Race in 1975. 3. 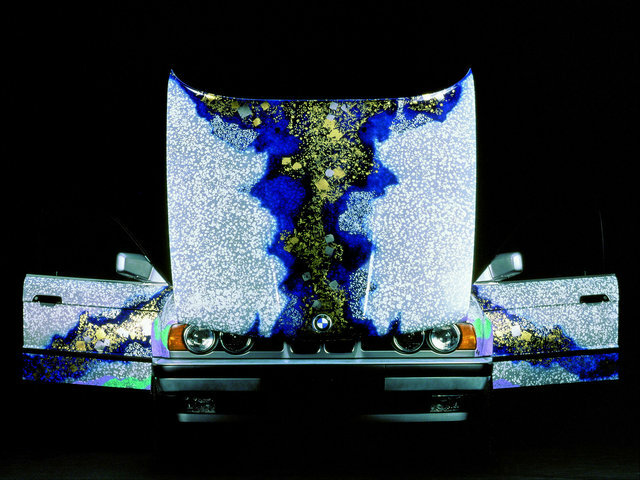 Matazo Kayama 535i (1990) is a Japanese artist who studied at the Painting Academy in Kyoto this is his airbrushed Art Car! 5. 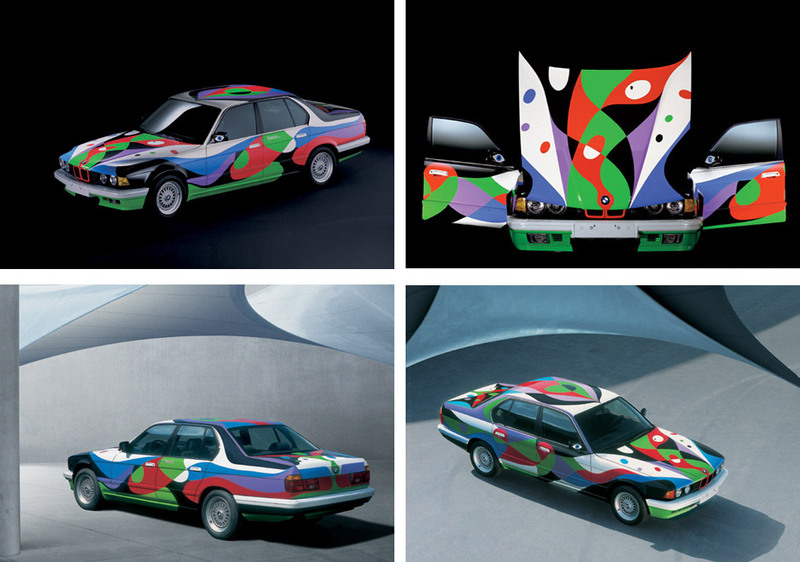 Frank Stella BMW 3.0 CSL, American abstract painter and printmaker this Art Car was done in 1976. 7. 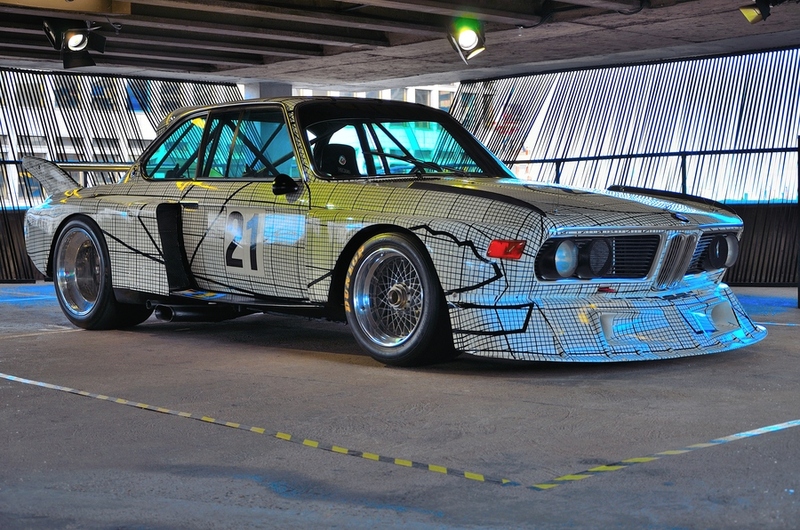 Roy Lichtenstein BMW 320 CSi (1977) New York born artist. Again has a Pop Art theme to it. 8. 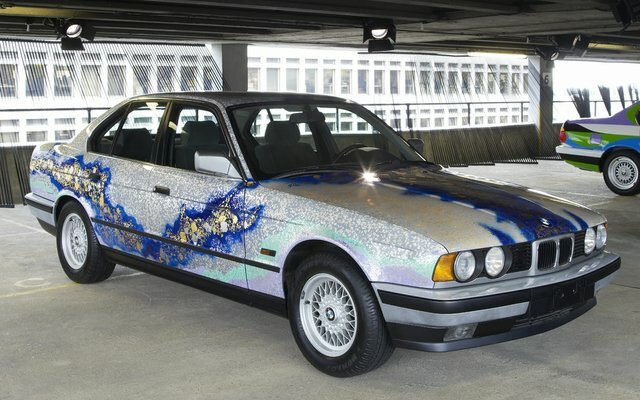 American artist Robert Rauschenberg, Art Car BMW 635 CSi, (1986), he is said to have bridged the gap between Abstract Expressionism and Pop Art. 9. 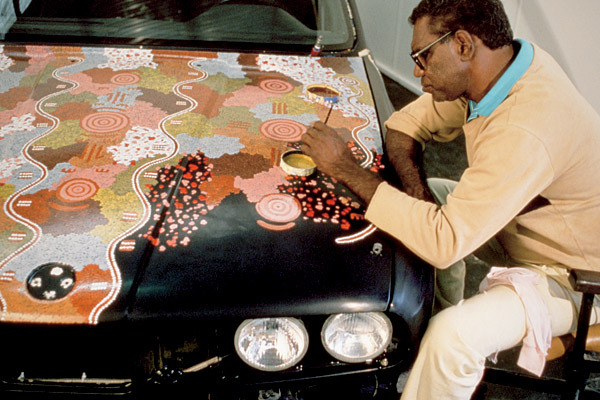 Australian Artist, Michael Jagamarra Nelson, Art Car: BMW M3, was very keen on promoting and keeping aboriginal art around, the Art Car was produced in the time of (1989). 10. 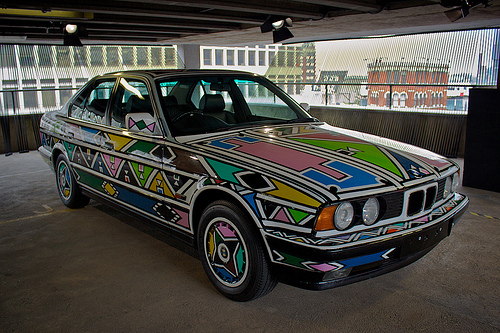 Esther Mahlangu BMW Art Car 525i (1991), she is from a tribe in South Africa, and has kept alive the centuries old traditional wall paintings of her tribe and her artwork reflects this. 12. 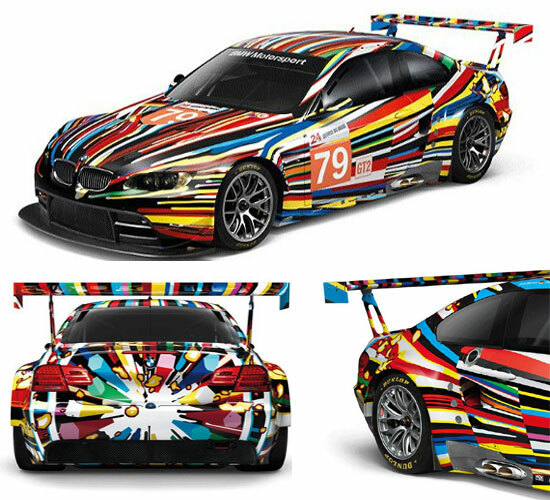 Sandro Chia, BMW Art Car M3 GT2 Series Race Car (1992) – Italian/Painter Sculptor. 14. German Painter, A.R. 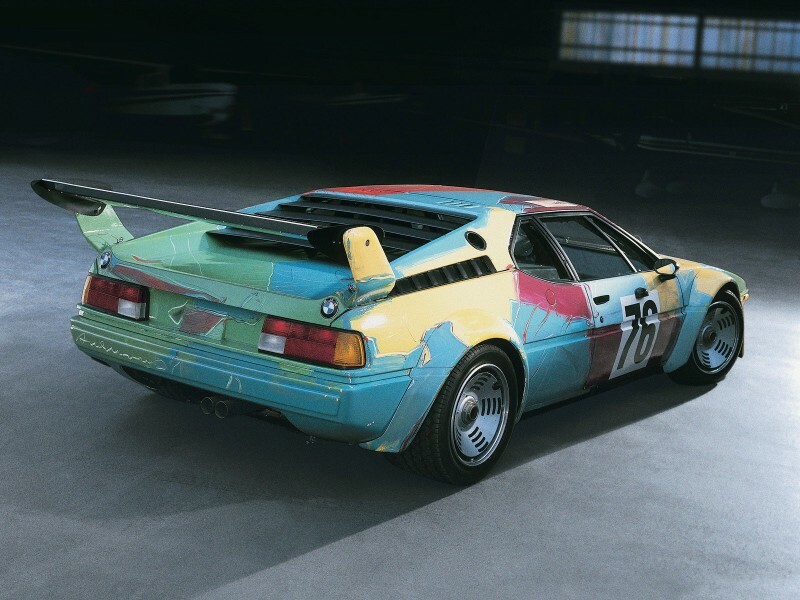 Penck, BMW Art Car Z1, (1991).